Filipino boxer Mercito Gesta is set to face the hard-hitting Mexican boxer Gilberto Gonzalez on April 1, 2017, at the Cosmopolitan of Las Vegas, Las Vegas, Nevada. Gesta a 29 years old boxer from Mandaue City, Cebu, Philippines. He has a record consisting of 29 wins including 16 victories by way of KO with only 1 defeat. Gesta once fought for the IBF World lightweight title on 2012 but defeated by Miguel Vazquez via wide decision 119-109, 118-110 and 117-111. Gesta, however, comes back with his own win in his last 4 fights, but unfortunately, he was coming off from more than a year layoff. On the other hand, Gilberto Gonzalez is a hard-hitting 29 years old from Mexico City, Distrito Federal, Mexico. With 29 professional fights, 22 wins by way of KO and has only 2 defeats. A former interim WBC Youth World lightweight champion and only defeated by Jairo Mercado via KO, Noe Bolanos via 5th round KO and Ricardo Dominguez via unanimous decision. Gilberto Gonzalez won his last 8 fights by way of stoppages. 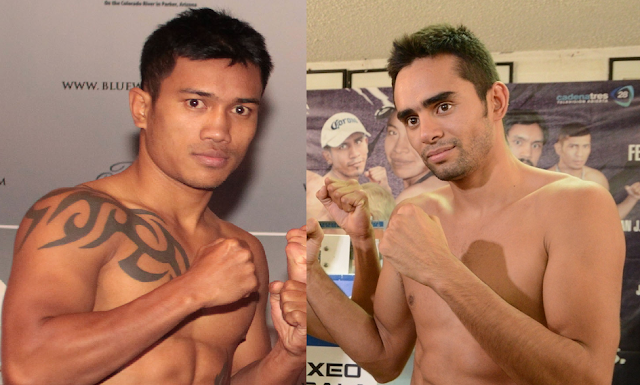 Gesta vs Gonzalez is promoted by Golden Promotion of Oscar Dela Hoya.